September 13 was an opportunity for people to enjoy a game of poker while cycling, and all it for a good cause. The occasion was Pedal & Poker, a charitable event that was started last year. In its second year, the charity event donated funds to a charitable organisation in Orlando. Even though the event was named Pedal & Poker the objective was to go from one point to another; collecting cards at each point. Participants had the choice to run or even skate to their destinations. At the start of the event, participants were given two cards and the rest had to be collected over the course of their journey, which was about a distance of 4.3 miles. At the end the best hand was supposed to win. However, the prizes are given out to ten participants who had good cards at hand. This year the prizes included a holiday in Mexico and Miami; gift certificates for cosmetic treatments, free salon visits; watches and a hamper from skin care experts Clinique; Margarita machines. The sponsors included a mix of law firms, a real estate firms and casinos. The tickets were in the range of $15 to $20. The amount was intentionally kept lower than the first year of the event to encourage maximum participation. In the first year, tickets were priced at $25. Twenty percent of funds generated through ticket sales were donated to charity. There were other incentives too like one free drink and discounted food during the course of the run. This year some fun elements were added like a competition for best looking bike and best looking team. People could participate in groups and play the game as a group. This made the event for fun for the participants. The event was conceptualised to raise funds for Habitat for Humanity of Greater Orlando Area. The organisation works to provide sustainable and affordable housing all over the world. It does so by constructing homes and by fighting for fair housing policies for all. 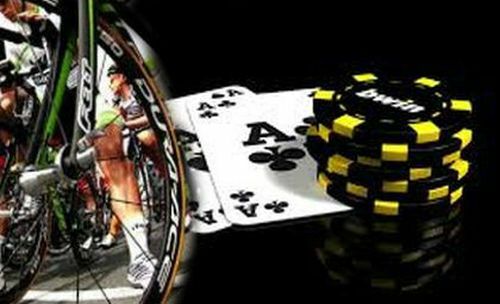 Pedal & Poker, though only in its second year, is determined to raise funds to support the cause of this organisation, which is doing a commendable job.